This week (April 8 – 12) marks the beginning of The Week of the Young Child (WOYC)! This annual celebration hosted by The National Association for the Education of Young Children (NAEYC) spotlights early learning, young children, their teachers, families, and communities. 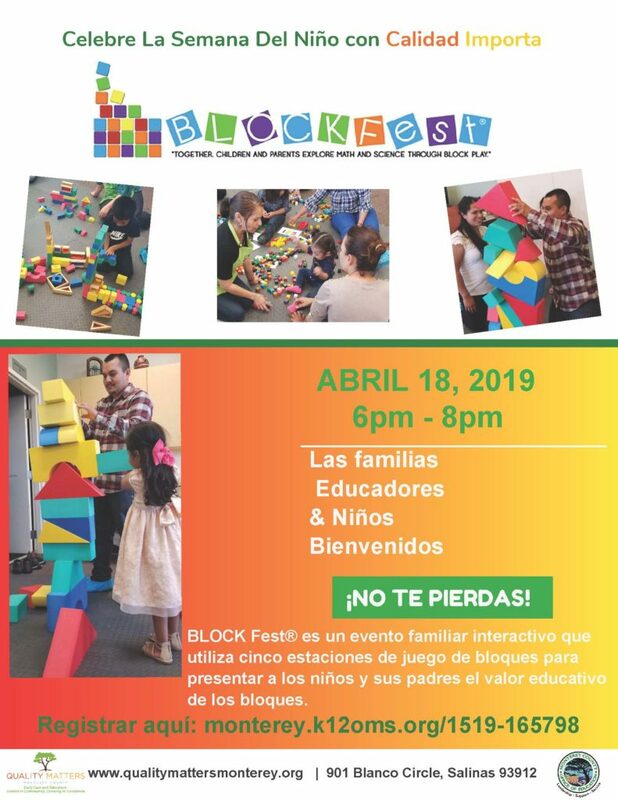 Celebrate the Week of the Young Child with Quality Matters during their BLOCK fest event on Thursday, April 18 from 6pm – 8pm. BLOCK fest is a family interactive event that uses five block play stations to introduce children and their parents to the educational value of block. Learn more and register to attend by clicking here.